Find the best flag football adult leagues, pickup games and tournaments in the state of Arizona. 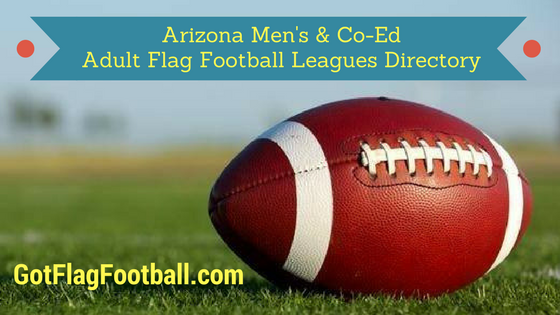 Below you’ll find the top up-to-date for 2019 list of fall, winter, spring and summer, indoor and outdoor local flag football leagues, pickup games and organizations that offer tournaments, organized from the highest to least populated cities and towns in AZ. 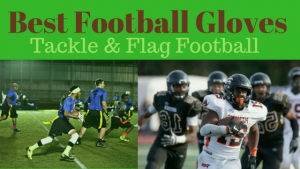 GotFlagFootball.com brings together the recreational and competitive local flag football Arizona community of organized leagues, city recreational leagues and pickups in one list (in alphabetical order), so that it’s easy to find a game near you. Phoenix Gay Flag Football League is a organized which creates adult flag football leagues available to members of the LGBT and allied community in Arizona. PGFFL games are organized several seasons each year in a 4 v 4 format. WAKA Social Sports is a recreational, social club for adult men and women. WAKA offers several options for rec sports including dodgeball, ultimate frisbee, along with flag football. Phoenix flag football by WAKA is a co-ed experience. The format is 8 v 8, with 5 males and 3 females required on the field, per team. The league offers social events after the games, including meeting up a local sponsor bars. The Tucson Jewish Community Center features flag football for adult men in the Tucson, AZ area. League play is in a 7 on 7 format. The schedule calls for 8 regular season games, followed by a single elimination tournament at the end of the season. Adult flag football leagues are available through the City of Mesa. Leagues are organized during all four seasons, including fall, winter, spring and summer. There are two divisions, one for a more recreational level of play, and another for competitive, advanced skill players. Players can choose which night to play from several evening options per week. City of Chandler orgnizes adult flag football mens leagues for residents and local members of Arizona. The league is available during three seasons each year. Format of play is 8 v 8 with contact at the line of scrimmage. Each regular season is 7 weeks long and includes a single elimination tournament. PHX Fray provides flag football leagues in Scottsdale, AZ, plus kickball, volleyball and corn hole for individuals, groups, corporations and full teams. PHX Fray offers 7v7 adult flag football leagues for men and women in a competitive, but fun environment. 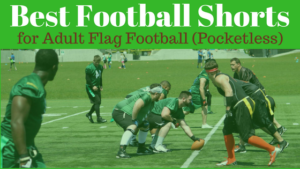 Scottsdale Adult Sports features flag football for men in the city of Scottsdale, AZ. Each year, the league runs four seasons, including fall, winter, spring and summer. There are two formats available, 7 v 7 non-contact and 8 v 8 contact, all eligible receivers. A single elimination tournament is played after the regular season to determine the league winner. 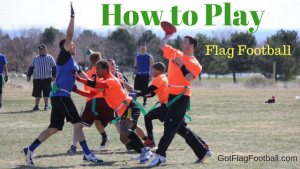 Founded in 2007, the Gilbert Flag Football Meetup Group offers pickup style adult flag football on a weekly basis. Games are played every Sunday morning in Gilbert, AZ. Playerswho usually participate in local city leagues, travel from around the Phoenix area to play in the weekly pickup games in order to practice, stay in shape, meet other players and enjoy the game. Typically games are played in an 8 v 8 contact format. Tempe AZ Flag Football is a pickup group that meets each Saturday from 3:30-6pm. 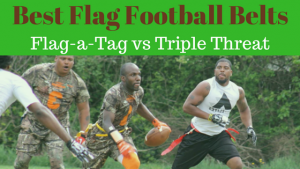 They were founded in October 2017 via Meetup.com and are the best option for pickup style flag football in the area. Tempe AZ Flag Football is open to all ages, genders and skill-levels, however the turnout is mostly men age 18+ with intermediate to advanced experience. The games tend to be competitive, yet friendly. The format is 8v8, contact on the line of scrimmage, QB can run any time. 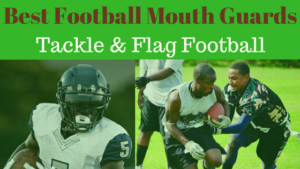 There are also organized teams that will be formed from the group of regular players at the pickup group in order to compete in local adult flag football leagues. The parks and recreation department of the city of Tempe features adult flag football for men. Leagues are organized occasionally throughout the year depending on number of registered teams. The format is 8 v 8, played on a field measured 80 yards x 50 yards, with limit contact allowed at the line of scrimmage only.